Here's the first character for our Mansion Pack. 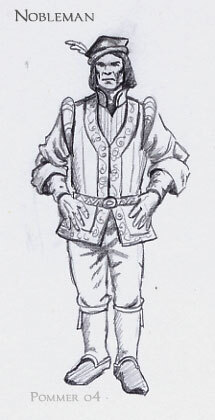 I'm modelling the clothing after late 15th C. fashion. Edited by god_is_my_goldfish, 28 October 2004 - 04:41 PM. Let me know which ones specifically, and I'll put your name down. Very schwanky, as usual you've done a damn slick job. Anyone working on a peasant yet Springheel? If not, I can try whipping that one up for you. I have something in mind, but go ahead...we're going to need more than one anyway. that looks great man !